Don’t know where to begin? Why not start here? This consultation gives us a great overview of what you have and don’t have in your wardrobe. It gives me a snapshot of who you are, and where we want to go with your image. Be prepared to get excited about the possibilities! A perfect starting point! I meet you at your home for this fun, interactive discussion! Assessment of current wardrobe (I actually get into your closet to review!) Closet editing not included. Assesses what you need and don’t need to align with how you want to show up. You have tons of clothes in your closet. Some you haven’t worn in years. Sound familiar? 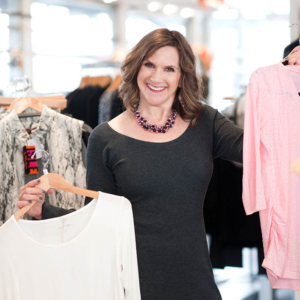 I bring a fresh eye to the clothes you already own and work with you to determine what you have, what you need to give away, and what clothes and accessories you need to enhance and update your wardrobe. Before we start, I help you to establish criteria about what stays and what goes. Working through your closet piece by piece, I help you organize your clothes, putting those that stay back into your closet in a uniform manner, like items with like items, from darkest to lightest. When your clothes are organized, the process is repeated with shoes and accessories. The result is a beautiful aligned closet that makes choosing daily outfits a breeze and a lot of fun! Love everything in your closet! Looking at what you already have in your closet, I work with you to create a shopping list of items needed to enhance your existing wardrobe. This is usually a few pieces that will tie everything together like a belt, jacket, pair of shoes or an accessory in a trendy color. Only rarely does someone need an entirely new wardrobe. Does it go with three to five things you already own, your new clothes, or both? Can you wear it three seasons of the year? Often, my clients remark that they would have never thought to put certain outfits together. To help clients mix up their looks, I create 20 to 25 different outfits, mixing and matching your wardrobe pieces. My ultimate goal is to help you discover new ways of wearing clothes rather than doing what you’ve always done. As I put new outfits together, I’ll take pictures to create a personalized ‘Look Book’ for you to easily refer back to. Confidence that you made smart choices! Extraordinary value in time and $$ savings! Change of season around the corner? Closet full of clothes and ‘nothing to wear?’ Wondering what the fresh styles of the new season are? Let’s fill in the gaps! Let’s schedule some time in your closet to coordinate your existing wardrobe with seasonal picks. With my keen sense of style, I’ll create outfits with matching shoes, jewelry, scarves and purse. $197 – for a powerful visual reference guid of 18-20 coordinated outfits! ONLY 3 SLOTS AVAILABLE: $197 / 2 hours. Weddings, vacations, black tie affairs, proms and business events call for that special look. Are you ready? I offer special occasion shopping to find the perfect attire for your events and trips and feel amazing! Date and time predetermined (recommended $300 shopping budget). BONUS: special celebration goodie bag! 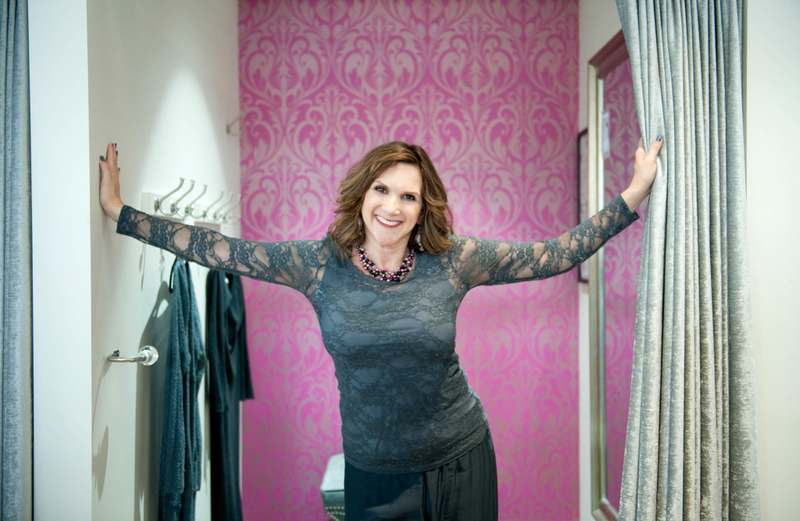 If you are planning a business trip or vacation, I’ll visit your home to help you select outfits that fit you well, feel good, and are perfect for the occasion. With your itinerary in hand, I focus on choosing the right outfit for each event or outing including: business meetings, cocktail parties, themed parties, formal dining as well as casual. I love packing! And as a packing expert, I mix and match your clothing so that, when possible, all of your clothes fit in one carry on! If you have questions, please feel free to call me. I look forward to hearing from you. And please be sure to check back on my blog for the latest information and tips on being your best self.